Note: The prices shown here are valid until March 18th. Tesla has announced plans “to raise vehicle prices by about 3% on average worldwide. … [However,] there will be no price increase to the $35,000 Model 3. The price increases will only apply to the more expensive variants.” So if you’re in the market for a Model 3, this handy guide can help — but you’ve only got a day or so left to take advantage of these lower prices. Tesla’s announcement of the long-awaited Standard Range and surprising Standard Range Plus Model 3 also came with the introduction of two new interior trim levels. Previously, all Model 3s came with the premium interior, featuring Tesla’s soft synthetic seat material, heated seats for all five occupants, and a 14-speaker premium sound system, plus other features. Without needing to choose an interior trim level, building your Model 3 was pretty easy: pick a battery size, pick the colors, decide if you want Enhanced Autopilot. With the addition of the Standard Range Model 3, there are now three interior trim levels, six battery and performance levels, five exterior colors, two interior colors, and two wheel styles to choose from. Popular features aren’t available on all interior trims, and it’s easy to increase the price of a Standard Range Model 3 to well over $40,000. To make it easier, we’ll break down what features come with each interior trim, then show what interior is available with each performance level of the car. The standard interior Model 3 comes with Tesla’s minimalistic interior style, but not much else. We have yet to see and feel the cloth seats of the standard trim, so we can’t comment on the quality of the materials used. For just $2,000 more, the partial premium interior will probably entice a lot of buyers. Tesla adds its soft synthetic leather material and front heated seats, which are 12-way power adjustable, to that option. Meanwhile, the premium interior has an exclusive hold on Tesla’s satellite maps and a navigation system that uses live traffic data, along with its 14-speaker audio system, in-car Internet media streaming, heated rear seats, and several other features. Model 3 buyers don’t get to mix & match interiors with battery sizes though – each battery size is matched with a specific interior trim. If you want the premium interior, you have no choice but to drop at least an extra $5,000 for the Mid Range battery. Finally, there are five different options to choose from. Those include paint colors, wheel styles, interior colors, Autopilot, and Full Self Driving. The latter two can be added to any of the vehicles. 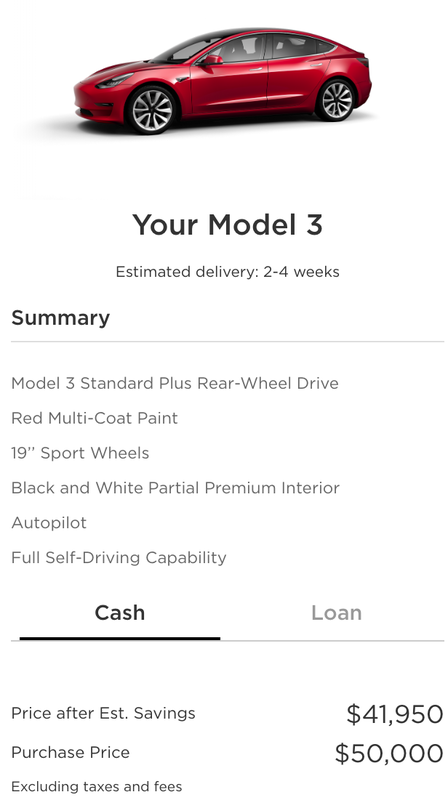 Here, it’s possible to add up to $13,000 in options to a Model 3. When you factor in Tesla’s $1,200 destination fee, it’s possible to turn the $37,000 Model 3 Standard Plus into a vehicle that costs $51,200 before taxes. With the price cut for new Model 3s, it will be tempting for many to cross-shop used with new cars. When looking at the value of a used Model 3, one must keep options like interior trim and Autopilot in mind – Tesla’s changes to the Autopilot features means older vehicles may offer a better value depending on the exact features that are important to you. 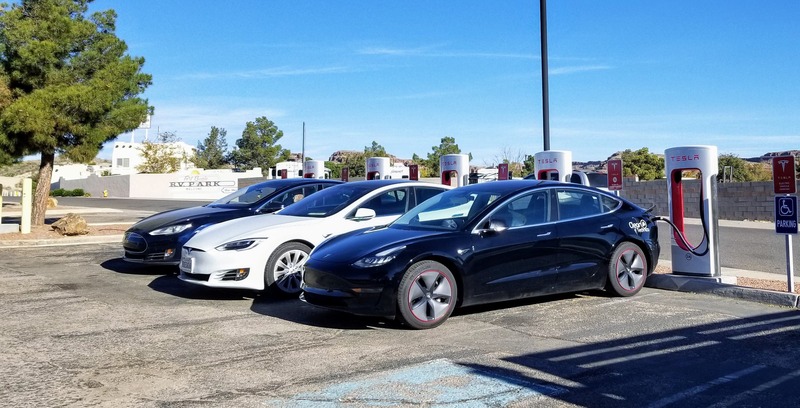 Source: Current Automotive; Editor’s Note: Current Automotive is the first-ever U.S. car retailer focused exclusively on used electric cars launched by two former Tesla employees.